The 42 known species of dolphins live in the waters of oceans and rivers all over the world. Dolphins are found everywhere, from shallow coastal waters to the deep of the open ocean, and they migrate to and from certain areas due to water temperature and food availability. 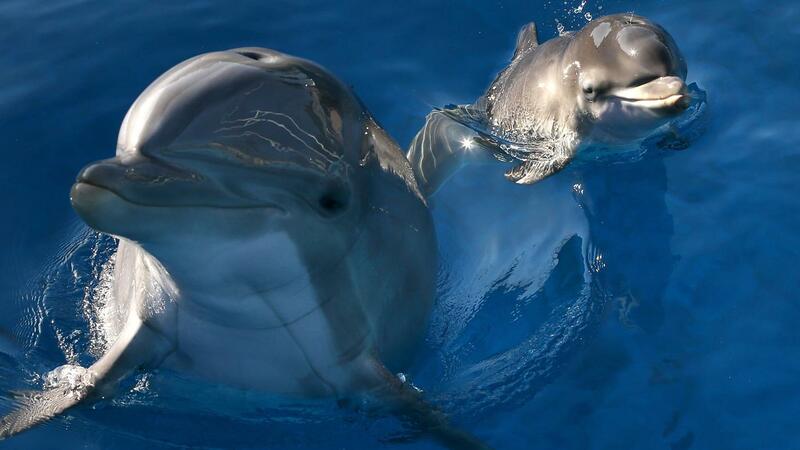 The 38 species of marine dolphins belong to the ocean family Delphinidae, while the four others are river dolphins. One of the best-known species, the bottlenose, is found in every ocean but the Arctic and Antarctic. Other species include the Atlantic spotted dolphin, found throughout the tropical and temperate areas of the Atlantic, and the pink dolphin, native to the Amazon River.